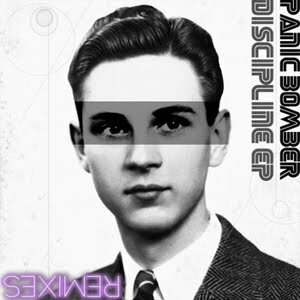 A month ago I wrote about Panic Bomber's new Discipline EP as well as a new ANR Remix here. This week Panic Bomber released new remixes for tracks from the Discipline EP and the best news is you can get them all for FREE!! Just head over to Panic Bomber's website, hand over your email and then you get a link sent to your inbox were you can download a shiny new mp3 in full 320 kbps. Besides the excellent ANR Remix which I previously posted, I'm really digging the Jeremy Glenn Remix of "Perfection and Grace". Richard knows me well as he thought this would be the track I would dig the most and he was absolutely right! An excellent dancefloor ready electro-pop tune that will fit perfectly into my DJ sets. Thank you Sir! Here's that remix for you to download, but head on over to his site and check out the other goodies as well.